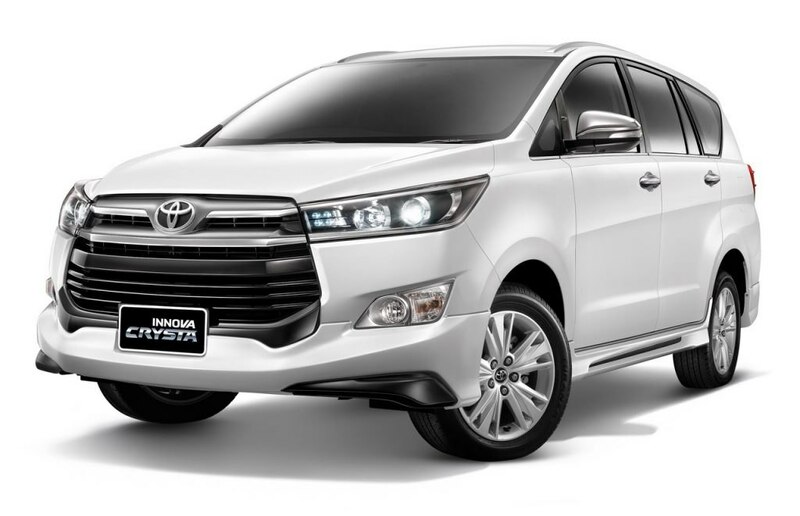 Toyota Motor Thailand has launched the Innova Crysta premium MPV in its home market with prices starting from 11,29,000 Baht (Rs. 21.59 lakh). 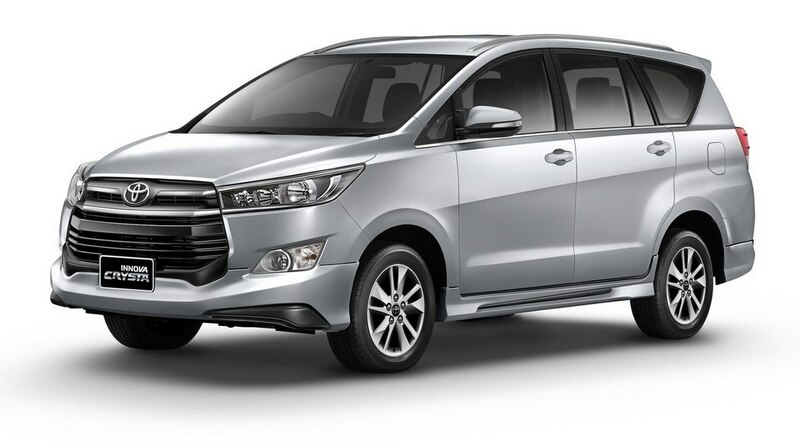 It is offered in three variants namely E, G and V. When you look at it, the new generation Innova for Thailand is nearly as identical to its India-run stable mate. 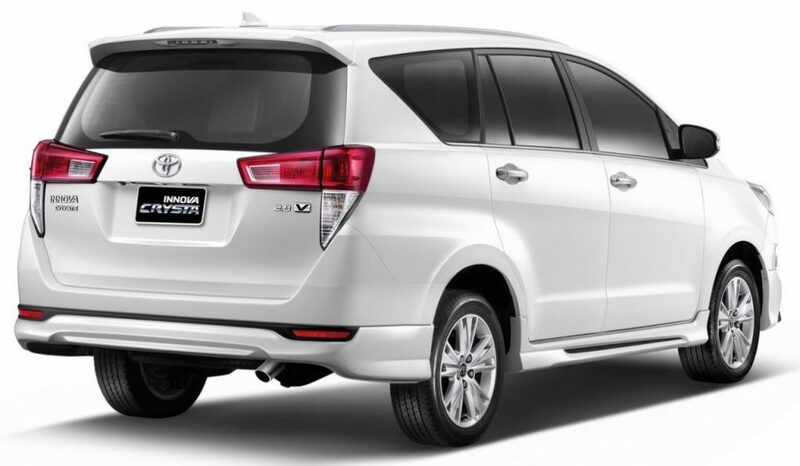 Up front, it features a new frameless dual-slat chrome grille housed in the hexagonal radiator assembly that leads into the sleeker LED projector headlamps. The wider bonnet has imposing stance with the character lines flowing into the grille unit. 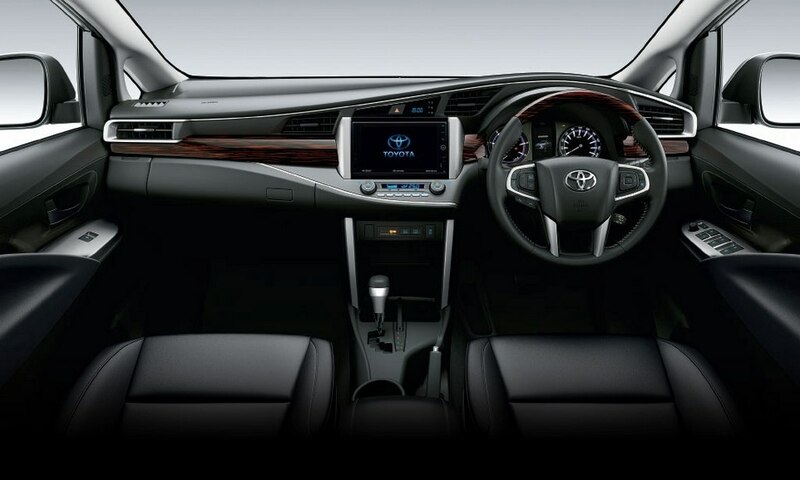 The front fascia extends out consequently with the traditional Toyota emblem in the centre and the unique shoulder line stretches from headlamp to tail lamp but the side profile is rather kept undisturbed. The newly designed 17-inch alloy wheels, prominent wheel arches, kinked-out parallelogram-shaped rear glass area, rear profile with horizontal split cluster integrated with the turn indicators, roof-mounted spoiler with integrated stop lights and a redesigned bumper with a roundish mono exhaust system add to the overall appeal. For Thai market, the Japanese auto giant has added a sporty bodykit which does substantiate the people carrier’s stance alongside tinted glass. 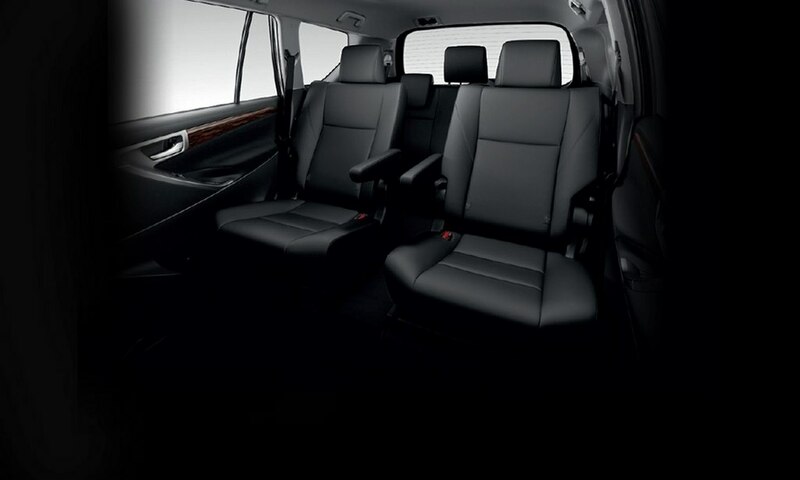 In equal dimension to the India-spec model, the Toyota Innova Crysta measures 4,735 mm in length, 1,830 mm in width, 1,795 mm in height and has a wheelbase of 2,750 mm with ground clearance of 178 mm. Four exterior paint schemes made available are White Pearl Crystal, Super White II, Silver Metallic and Attitude Black. As for the powertrain, a 1GD-FTV 2.0-litre Dual VVT-i petrol and a 1TR-FE 2.8-litre GD diesel engine are being used. The range-topping four-cylinder diesel motor develops 174 PS at 3,400 rpm and 360 Nm of peak torque delivered between 1,200 and 3,400 rpm. It is the same unit being used in India and comes mated to a six-speed automatic transmission. The petrol mill makes 139 PS and drives the front wheels through a five-speed manual ‘box.